Happy New Years! Are you as excited about 2017 as I am? I love the beginning of a new year, it's a fresh start, and the perfect time to make resolutions or goals as a family. This year my family is focusing on spending more time in the kitchen together and eating better and healthier! It's so important to eat breakfast everyday, but your body really needs a delicious and nutritious breakfast to kick-start your day. I'm so excited to share Post cereals with my family, we are starting this new year and our days off right with Spoonfuls of Goodness! 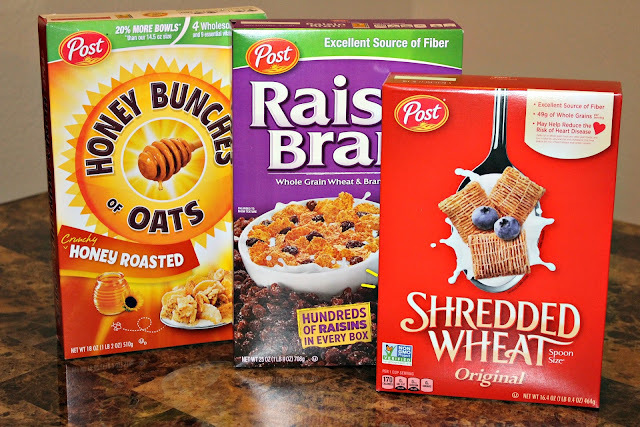 With Post cereals it's never been easier to find a healthy and tasty breakfast, their cereals contain fiber that prepares your body for the day and keeps you full until lunch. They also have whole grains that are packed with nutrients, including protein, fiber, B vitamins and antioxidants. 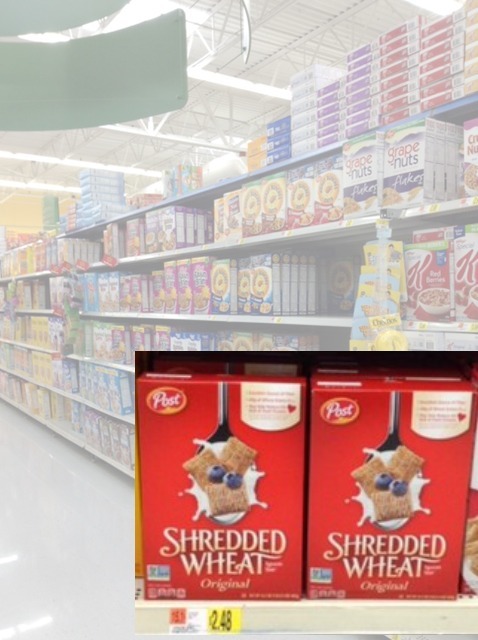 With all of the delicious better-for-you options, your family will have no problem finding a favorite cereal. In our home, my family is huge fans of Post Cereal Honey Bunches of Oats Honey Roasted. 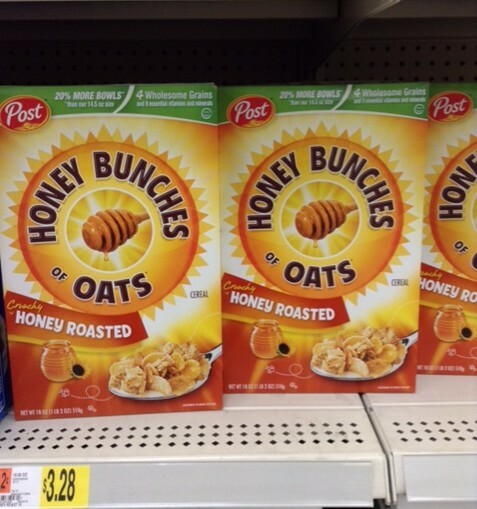 Did you know Honey Bunches of Oats has an awesome combination of textures and flavors? This cereal has four different types of grains in its 10 grams per serving: rice, wheat, oats, and corn. Not to mention it's heart healthy with 0 grams of trans fat, saturated fat, and 0 milligrams of cholesterol per serving. My children could enjoy bowl after bowl of Honey Bunches of Oats for breakfast, but I like to switch up with my favorites - Post Cereals Shredded Wheat Original and Post Cereals Raisin Bran. Shredded Wheat is packed with 49 grams of whole grain and 6 grams of fiber. This classic wholesome breakfast is recommended by 9 out of 10 doctors to reduce heart diseases. 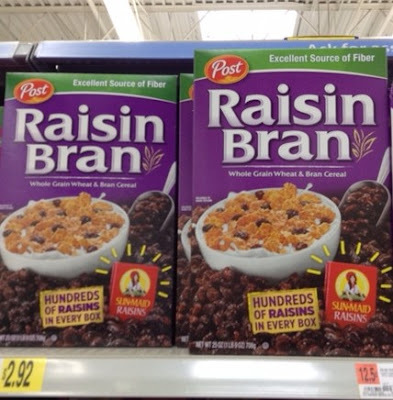 Post Cereals Raisin Bran contains 23 grams of whole grain and 8 grams of fiber, every box is filled with hundreds of tasty Sun-Maid California raisins! Sometimes we are in the mood for something just a little different and breakfast bites or bars are perfect for us, they are easy to whip up and they are a breakfast option that everyone loves! 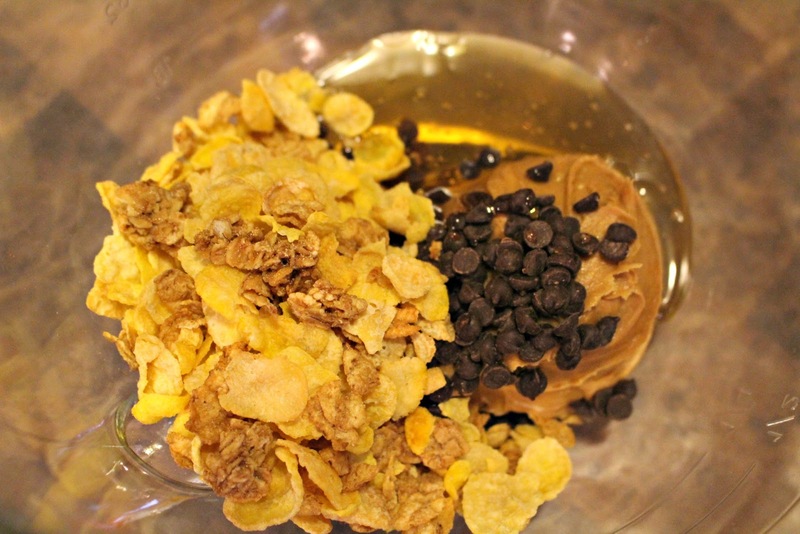 So after heading to my local Walmart to pick up some groceries and Post Cereals, I took our favorite Post Cereal and made a batch of delicious no bake breakfast bites! Combine all ingredients together in a medium bowl and hand mix thoroughly, cover and place in the refrigerator to chill for 15-20 minutes. Once chilled, simply roll into balls. (The tighter the better). Place in a zip-lock baggie or an air tight container and they can be stored in the fridge for a week. Although around here they only last a few days! 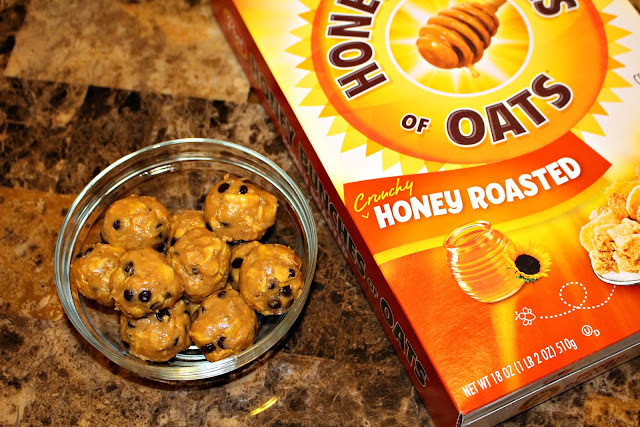 Makes about a dozen no bake breakfast bites. They are crunchy and delicious, your family will love them! Feel free to double the batch if you'd like! So what do you think? How are you starting off each day of the new year?